Gel nails give women the chance to be creative with their nails. You can choose from a variety of colors and designs that you could never get with most other types of nails. It doesn’t even matter if you have brittle nails already because gel nails can still be applied to them. Virtually every nail salon in the world offers gel nails now. So, no matter where you are located, you should be able to find them available. Women love nail add-ons and extensions that look natural. They love to show them off to their friends and make everyone think they’re real. This is exactly how gel nails can benefit anyone with naturally flimsy or weak nails. There are no toxic ingredients used to manufacture these gel nails. They are made from a combination of a monomer gel and pre-mixed polymer. These are completely safe ingredients to apply to your nails. You will not experience any unwanted side effects from this. The nail technician at the salon will simply apply a coating of this gel solution to your real nails. After that, your nails will be placed under an ultraviolet light. This helps give the nails an extra shine and length to them. Alternatively, if the technician does not use UV lighting, they will apply a special activating gel to achieve this result. This option is usually reserved for people who have a sensitivity to UV lights. Gel will make your nails look beautiful! 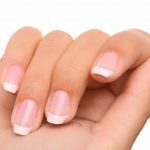 Here are the top 5 advantages of opting for gel nails. 1) Gel nails look natural! Compare this to the rigidness of acrylic nails and you will appreciate the gel nails so much more. 2) A lot of people have allergies to acrylic and resin. Most types of gel nails are classified as hypoallergenic, which means you should never have any allergic reactions to them. 3) There are no foul or annoying odors while wearing the gel nails. 4) You can wear gel nails for up to 3 weeks. They will never peel or crack within that timeframe either. 5) If you are wearing soft gel nails, you can use acetone to quickly remove them. 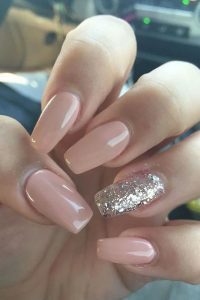 If you want longer fingernails that look 100% real and last for a long time, then inquire about gel nails the next time you go to the nail salon. Basic nail gel designs are typically about $35 to $50 in most nail salons. Fancier designs may run you up to $100. Each salon sets their own prices, but these are the general ballpark figures. If you are looking for the best gel manicure in San Diego you have come to the right place! Click the link below to book your next appointment at Boudoir Nail Bar!